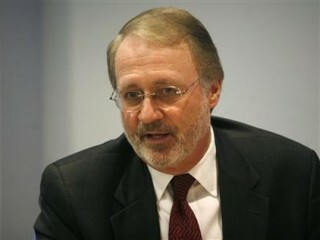 Birthplace : Columbia, Maryland, U.S.
Gary Parsons (born 1950) is the former chairman of the board for Sirius XM Radio. Mr. Parsons was also formerly on the board of WorldSpace. At the time American Mobile, a data-services provider, was developing wireless communications via satellite technology for truckers, the Red Cross, and government entities. While working there, Parsons came to believe that satellite telecommunications technology could have broader applications beyond the customer base American Mobile targeted. Inspired by his wife, Kathy, who had established her own ad agency years before, Parsons founded XM Satellite Radio in 1997 and within a year, had procured an FCC license. Parsons stayed on at American Mobile, which in 2000 changed its name to Motient Corp.; he left in 2002. Meanwhile, XM launched its service in September of 2001 and initially, the future looked promising. By 2003, XM had 600,000 subscribers and eventually secured its first one million customers at a faster rate than any other new entertainment technology ever did, including CDs, the Internet, and videos. But after the initial enthusiasm, growth slowed. XM has several competitors, including New York-based Sirius Satellite Radio, which launched a few months after XM. In addition, XM faces competition from traditional land-based radio stations, which are free to listeners but are frequently interrupted by commercial breaks. Parsons believes this is XM's greatest strength its music channels are commercial free, although a few other channels carry limited advertising. Another advantage to XM Satellite Radio is that it will not fade away subscribers can drive from Seattle to New York and never lose their favorite station. XM offers another benefit for music fans in that when a song plays, the title and artist are displayed on the receiver's output screen ensuring listeners will never be left to wonder about the name of a catchy new song they hear. Washington Business Journal 's Entrepreneur of the YearTechnology (shared with Hugh Panero), 2003. View the full website biography of Gary Parsons.